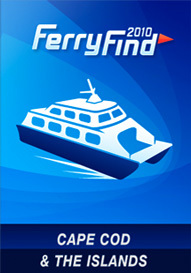 - Need to find the best ferry to the Cape and Islands? Yea. There's an app for that. - The Art Directors Club will host the ADC Young Guns 5+5 Thursday June 10 at the ADC Gallery. Five winners from ADC Young Guns 7 pick five creatives they admire, all 10 present their work Pecha Kucha-style: 20 slides + 20 seconds each = 400 seconds to tell their story. - This billboard stinks. The billboard uses an attached fan to disperse charcoal and pepper fragrance from scented oil. - Even more Amazon book review shilling. - Bloomberg really wants Lebron James to come to New York. - Rich media ads come to the iPad. Yawn. - Deutsch is out with new work for Dr. Pepper featuring Michael Strahan. - Watercooler Inc. has partnered with Fox Soccer to premiere EPIC GOAL, an all-new Facebook game that debuts today. - Created by SapientNitro Melbourne, a 'lost dog' poster campaign is offering a $250,000 reward for the return of Roger, who went missing after a trip to the 'Schmackoville Schupermarket'. Yea, we don't get it either. - Coinciding with ALS Awareness month in June, the ALS Society of Canada has launched its first interactive campaign, created by Lowe Roche, Toronto, to raise awareness about the disease and to raise money to go towards research for a cure. - The new Mullen NC-created Men's Warehous campaign is called "A Place Men Belong" and features men walking into scenes from popular TV and movie genres and asking "Is this Men's Wearhouse?" - Workout brand says giving birth is the hardest workout you'll ever experience. In ad ad. Graphically. With an umbilical cord.